Set on beautifully landscaped grounds, anchored by a garden and stunning courtyard, Coventry Square Apartments offers residents the perfect space to decompress after a hard day at work or school. On property, we have a parking garage, which eliminates the hassle of finding on-street parking. 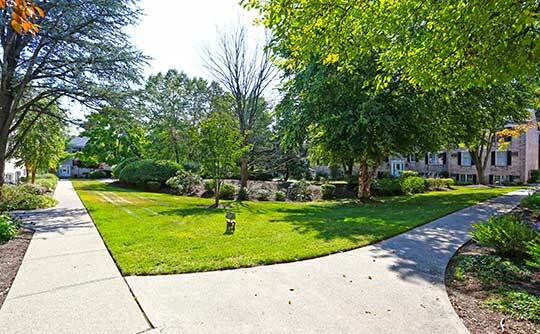 Private garages are available for residents seeking extra storage. We have laundry facilities on-site, which means you won’t have to haul all of your delicates to the local laundromat. We’re proud to offer Westwood pet-friendly apartments and have an on-site dog park for our residents’ convenience. Inside our spacious units, you’ll find the full kitchen of your dreams. Stainless-steel, energy-efficient appliances create a sleek look that’s complemented by granite countertops and custom cabinetry. Hardwood floors provide an easy-to-clean surface that’s more resistant to stains and spills than other types of flooring. Rest easy during the summer months with air conditioning and ceiling fans. We make it easy to make yourself at home at our Westwood apartments near Berkeley Avenue Elementary School. Browse the Coventry Square Apartments photo gallery to get a better look at our apartment features and community amenities. After seeing images of our community, contact us to schedule your personal tour. 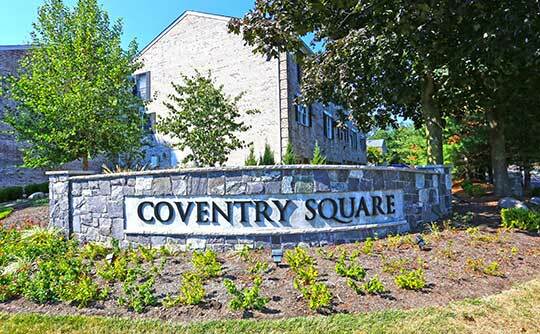 We’d love to show you how you can make yourself at home at Coventry Square Apartments in Westwood, NJ.